The Rancho Bernardo Veterans Association invites you to join us in the support of the memory of our veterans, past and present, and the recognition of those currently serving our country. You can help to assure the continuance of the operations at the memorial and enjoy benefits not available to the public in general. We are now offering two donor plans - RBVMA Patrons and Patriots. An annual donation of $25.00 per person, or $50.00 for a family, puts you into the Patrons group. A donation of $150.00 per person will make you one of our Patriots. Your names will be acknowledged in our printed programs of each of our ceremonies for everyone to see your support. You will receive a card acknowledging your association. And you will receive advance program information to let you know who will be speaking and participating. 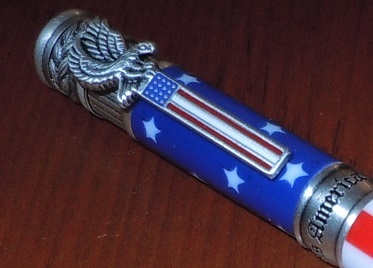 You will also receive an RB Veterans Memorial pen and stylus to show your pride in our national banner. 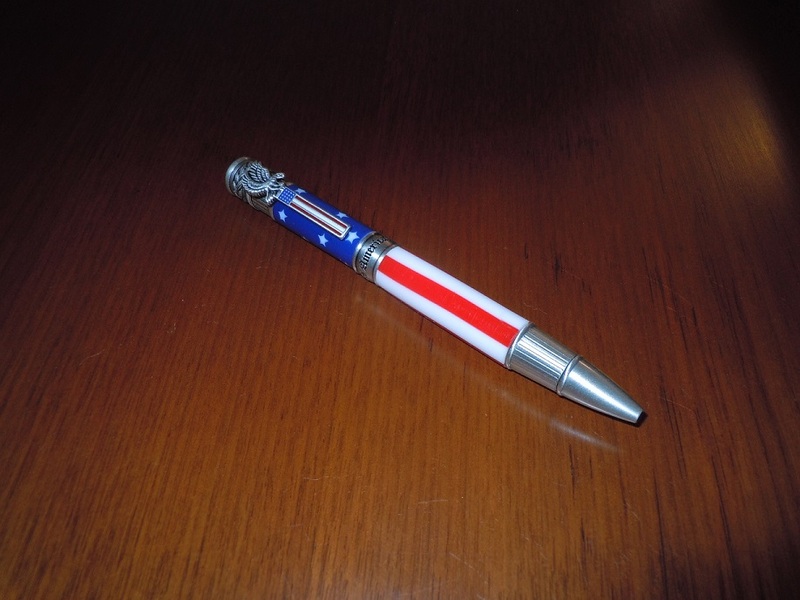 The pen functions as both a ball point pen and a stylus for touch screen phones and tablets. And don't forget, donations made to the Association are tax deductible! Consider joining our Patron or Patriot family and continue to enjoy the promotion of pride of our nation for our children and grandchildren for years to come. Please contact one of our board members to discuss your participation. Any and all donations will be greatly appreciated.